The 17th installment of Masako’s American Country collection is a botanical encyclopedia. 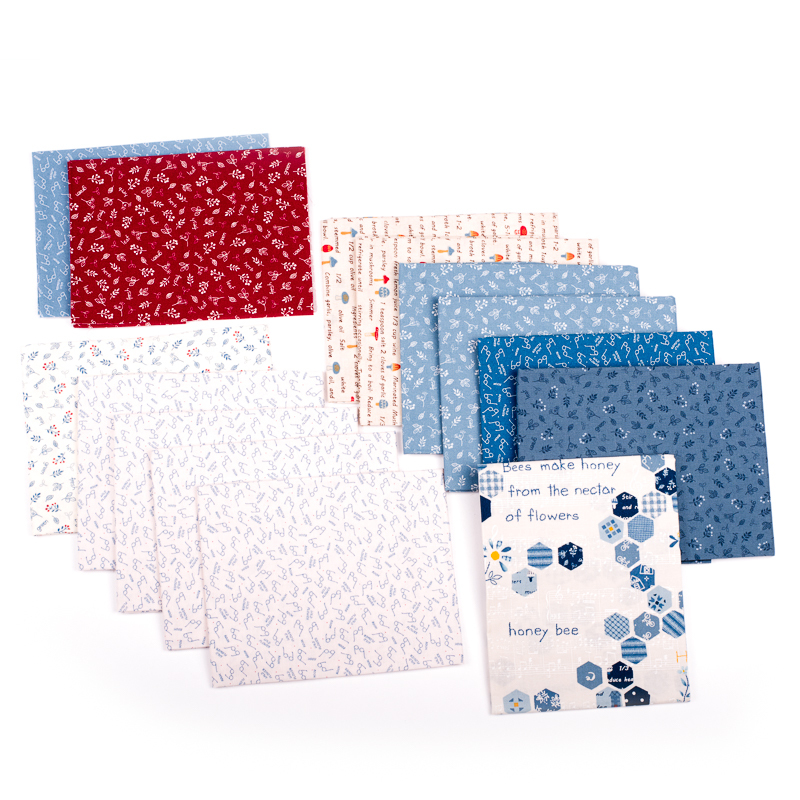 This current collection focuses its annual theme on life’s simple pleasures: cooking, reading and gardening. 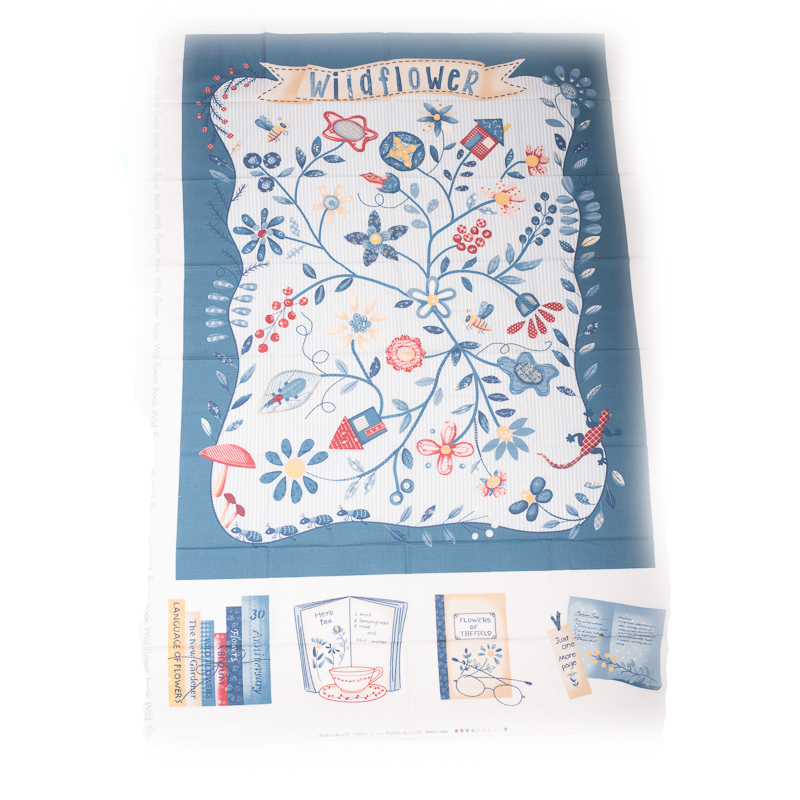 The line offers small-scale prints that include honeybees, mushrooms, and reading glasses, as well as a delicate color palette of pink, tan, crimson, sunflower, and blue. 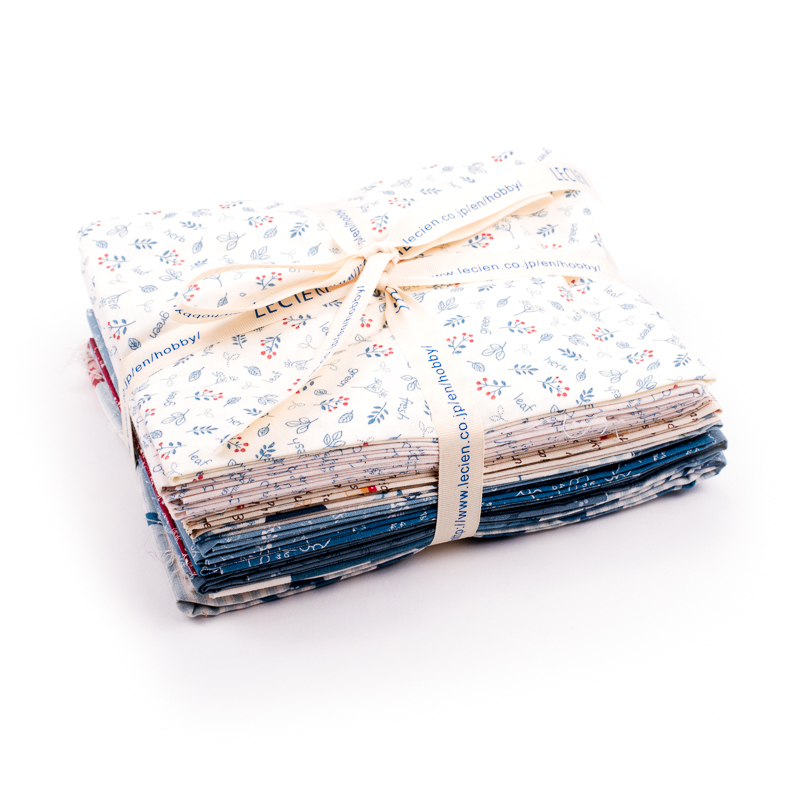 The fabric bundle includes 11 fat quarters, 3 - 10” squares, 1 half yard, and 1 panel. Sale Price $10.00 reg $48.00.